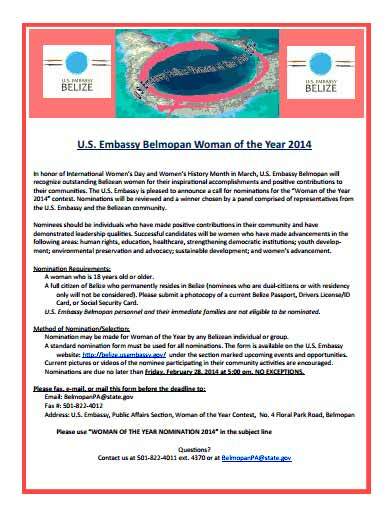 The U.S. Embassy, in honor of Women's History Month, is accepting submissions for Woman of the Year 2014. If you want to nominate someone, you have until the end of February to submit. 0 registered members (), 234 guests, and 6 spiders.